My kids are SO Excited for Saturday. Our neighborhood is so much fun to trick or treat in. The streets are just full of families going from house to house just having a great time. My husband sits on the porch and hands out candy while I take the girls around the neighborhood collecting their goodies. It’s usually cold so I bundle up with a warm cup of coffee while my kids fight me about putting warm clothes over or under their costumes. I am beginning to wonder if all the energy and excitement of the night warms them up and perhaps they aren’t really as cold as I am! Of course they want to eat candy while we are trick or treating. Whether they are hungry or not, they would eat every piece of candy if I let them. But then they get thirsty. So this year I have some cool Pumpkin & Skull cups for them to take with us! These are super cute and I love how the straw even has a cover for it! Plus they are only $0.99 at Stop & Shop! You can’t Trick or Treat without certain items like a pumpkin to collect your candy in and a glow light to light up the night! Stop & Shop has them both along with all the candy you’ll need for the trick or treaters. We have some friends that have children with allergies so I like to have a few things put aside for them, when they come to the house, besides candy. 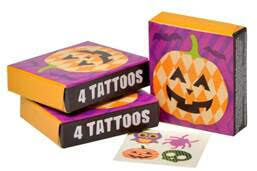 I’m always looking for ideas and I was happy to see that Stop & Shop has some great items for those with allergies or just can’t have all that sugar – a bag of 15 boxes of Halloween Tattoos for $3.99 and assorted Halloween Game Sets for $5.99. Stop & Shop nutritionist Julie Hersey, MS, RD, LDN, has simple tips and recipes that will take your Halloween night from scary to satisfying. Some of Julie’s tips include starting off Halloween evening festivities with a Maple-Cinnamon Pumpkin Dip, or filling up with a heart-healthy, protein-packed Turkey, Squash and Black Bean Chili. Eat a nourishing dinner & hydrate before trick-or-treating: A group of hungry, dehydrated, sugar-intoxicated kids can be frightening for any parent! Plan to have a warm and hearty meal, like chili, before heading out. Be sure to take along a reusable water bottle to sip between houses! Downsize candy collectors: Turn the trick around so your kids think they have more candy simply by downsizing their door-to-door collector. Use pails or yogurt containers instead of pillowcases. 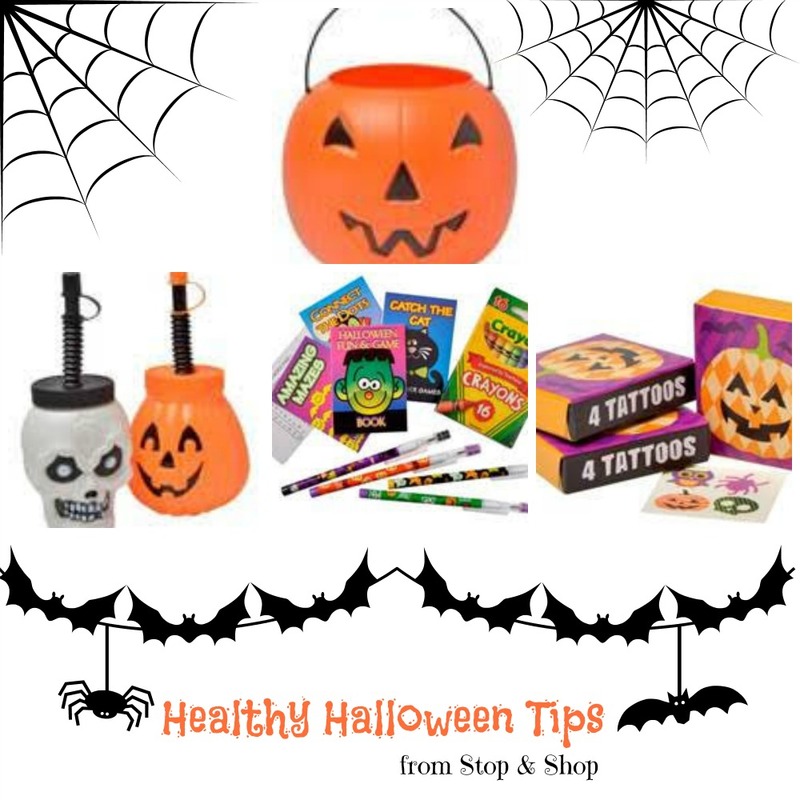 Pass out non-food treats: Kids love non-candy treats like Halloween-themed pencils, pencil toppers, crayons, erasers, scary magnets or stickers, temporary tattoos, bubbles, jump ropes, whistles, fake money, glow-in-the-dark necklaces and bouncy balls that encourage activity. Go mini or fun size: Smaller-sizes will help stretch calories, servings and dollars. Some good choices that are lower in fat and calories include: York Peppermint Patties, Kit Kat Bars, or even those with peanuts for a protein boost, like PayDay! Keep candy out of sight: Out of sight, out of mind. If you’re lucky, they may even forget it is there! 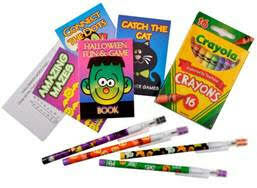 Teach kids that candy is a treat that can be enjoyed after all other nutrient needs for the day are met. Choose whole grain-based treats: These include chocolate granola bars, trail mix, popcorn, small boxes of cereal, that are low in sugar but provide fiber, vitamins and minerals. Find fruit-based treats: Look for treats that have a fruit base and no artificial flavors or colors. Think chocolate-covered raisins, 100% fruit leather, fig cookies, and small boxes of dried fruit are all great choices. Balance treats with healthy pairings. Break up candy into smaller bites or supplement with a glass of water, low-fat milk, a piece of fruit or cheese.